Leave it to Ford, Ford Dealers, and advertising in general to improve on my love for the open road…with billboards. This #mustangcrushmonday was inspired by one I saw while traveling home from Nashville, TN. 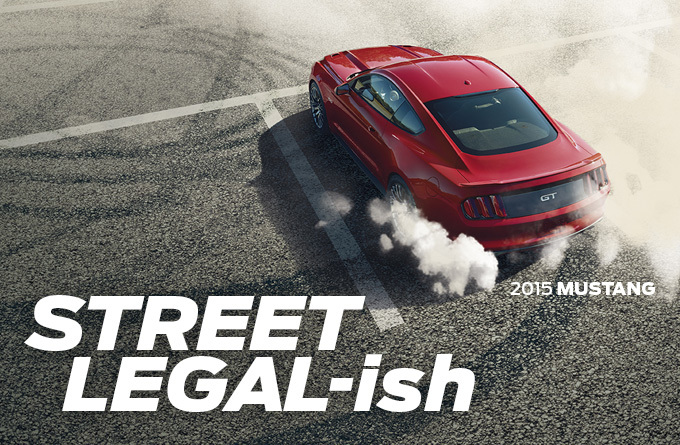 It just happened to be that of a meaty little 2015 titled STREET LEGAL-ish. Here are just a few that I’ve found on the internet. Be sure to click on each pic! Next, a slideshow with a few from back in the day! And finally…two of my favorites. This entry was posted in Journal, Off the Road and tagged #mcm, #mustangcrushmonday, 2015 Mustang, Advertising, Billboards, Ford, Street Legal. Bookmark the permalink.